For over 40 years, Telesis Technologies has been supplying permanent direct part marking solutions for the energy Industry. Our robust equipment offers a heavy duty solution to the harsh production environments of the component manufacturers to the Oil and Energy industries. Dot Matrix indent marking is a proven method of marking text and 2-D matrix barcodes onto the steel pipe and tube components used in the oil supply and refining markets. Capable of indenting greater than 0.10” depth into steel, and with character sizes up to 2.0” in height, makes this technology perfect for customers needing a durable, long lasting mark capable of surviving the outdoor and underground environments industry products typically find themselves in. TMM7200/470 multi-pin and TMP7000/470 are the big boys of the Dot peen marking world, with up to 64sq.in. of configurable marking window, and pins larger than your index finger, these units are the choice for primary metal marking, ingots, slabs and large diameter pipe where large characters and higher mark depth is required. These units can be accessorized with cooling heads and other high temperature options to meet the rugged mill environments encountered. TMM5100/470 multi pin marker is a heavy duty, but lighter to carry unit that is perfect for marking recessed parts or unusual shapes, such as large valve bodies, steel frame supports or cast engine components. Available in hand held or mounted configurations, and ideal for harsh environments. TMP4500/470E is a hand held, single pin deep marking option for smaller diameter pipe sections, and valve components. Designed for easy transportation between work cells, this Electric pin unit is ideal for multi station work areas, or large components that are too complicated for in-line marking. 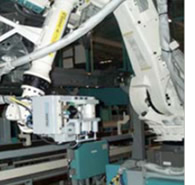 In addition to dot peen, Telesis manufacturers the widest array of galvo steered marking LASERs in the industry. PC based, with Telesis’ Merlin design software, they offer a complete solution for your marking requirements. CO-Series (10.6µm) LASERs, RF-Excited, CO2 sealed tube LASER marking systems are available in 10, 30 and 60w outputs with a variety of configuration options, included embedded PC controller for ease of online integration. These units are ideal for LASER marking of quartz and glass in the solar cell industry, bleach-marking of anodized aluminum for frames, and LASER bonding using third part additives on metals, and marking most organic materials. EV-Series family of Vanadate (1064nm and 532nm wavelength) LASERs are designed to proved high quality engraving, ablating, annealing and bonding marking solutions over a wide range of metals and plastics. These LASERs are available in a wide range of powers, including the EV4G Green (532nm wavelength) LASER for marking components such as solar cells. FQ-Series family of 1064nm pulsed fiber LASERs have a proven track record with industry. Introduced in 2003, these fiber units have revolutionized the industry with their small size and high power. Made for marking metal, these units come in 10w, 20w, and 30w configurations and are the perfect choice for annealing or deep engraving of metal. All of Telesis equipment offers the advantage of Telesis’ 24 hour Technical support, with onsite service and support via Telesis trained technicians for worry free operation. Custom installations and turnkey applications are welcome and supported by our Custom Engineered Solutions Group.